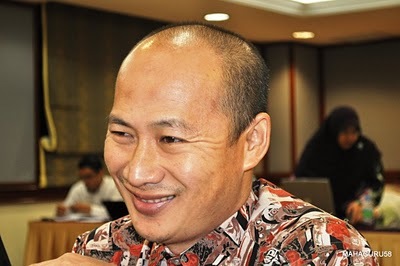 Sarawak today prohibited the entry of academician Dr Mohd Ridhuan Tee Abdullah into the state, according to immigration authorities. Mohd Ridhuan was stopped at the Kuching International Airport after he flew in this morning, said Sarawak Immigration deputy director Hamfatullah Syawal Hamdan. “The Immigration Department received an instruction from the Office of the Chief Minister to prohibit Mohd Ridhuan from entering Sarawak. For details, you can contact the Office of the Chief Minister,” he told Bernama when contacted. Bernama learnt that Mohd Ridhuan is scheduled to deliver a religious talk at the Lundu District Mosque at 8 pm today. Several quarters had expressed the hope on social media that he would be barred from entering Sarawak. A source told Bernama that Chief Minister Tan Sri Adenan Satem was not in favour of the presence of Mohd Ridhuan in Lundu tonight and had instructed that the event be cancelled. Sarawak had previously prohibited the entry of several opposition political party leaders from entering the state, via Kuching and Sibu. Adenan had said previously that Sarawak was tightening its immigration rules and stepping up the scrutiny of visitors from the peninsula to keep out “extremists, religious bigots and racists”.